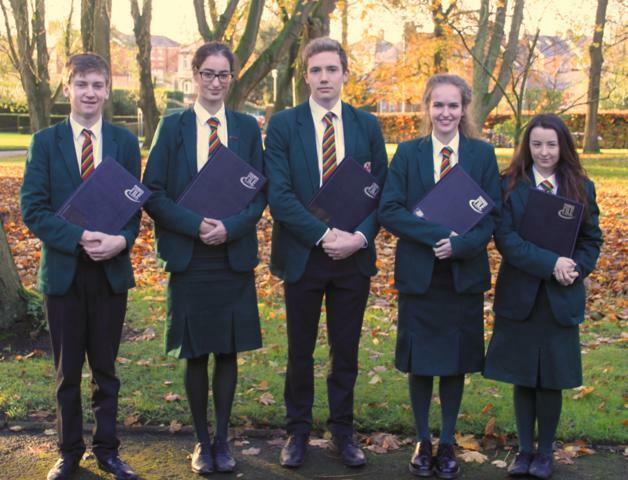 Old Scholars’ Prize winners awarded for outstanding achievement at GCSE level include Rebecca McNeill, Jinkun Zhong, David Elliott, Alexandra Hunter, Christopher Nesbitt, Olivia Novaes, Matthew Lewis, Amy Scott and Sara McGucken. They all gained A* grades in each of their ten subjects. 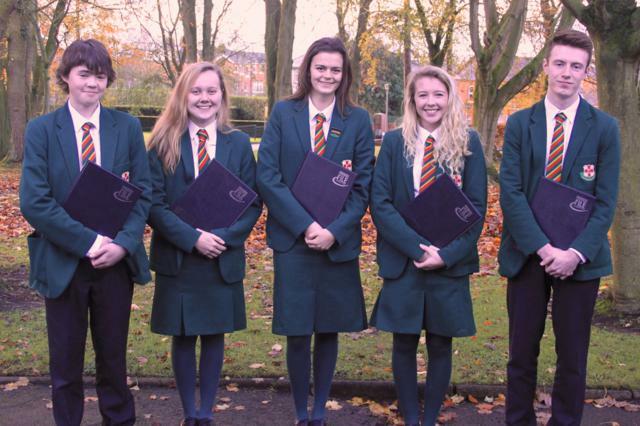 Friends’ Year 12 subject prize winners include Morgan Gregg (Chemistry, Biology and Technology & Design), Bethany Lockhart (Business Studies and English Language), Hannah Al-Qaryooti (Art & Design) Ellie McConnell (Photography) and David Kearns (ICT). Friends’ Year 12 subject prize winners include Alexandra Hunter (Physics), Andrew Joyce (French), Eve McCready (Economics), Robert Acheson (Music) and Aisling Broder-Rodgers (Art & Design, Engineering and Mathematics). 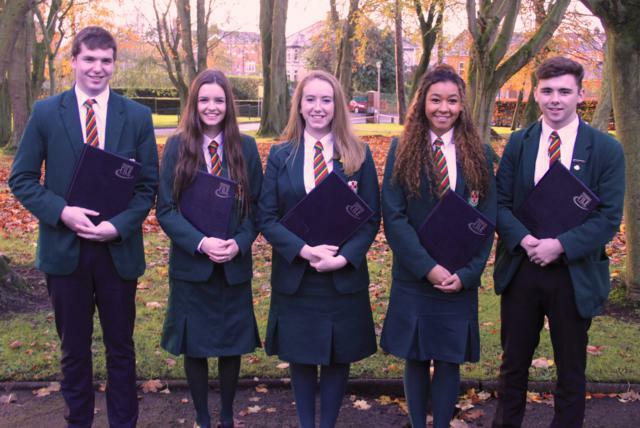 Friends’ Year 12 subject prize winners	include Michael Thompson (Further Mathematics), Megan McClure (Art & Design), Sara McGucken (Religious Studies), Rheo Hue (History) and Jake McDowell (Physical Education). Friends’ Year 12 subject prize winners include David Elliott (German), Olivia Novaes (Art & Design and English Literature),	Christopher Loan (Photography), Megan Taylor (Spanish) and Kirsten Gibson (Home Economics). Friends’ Year 12 subject prize winners include Olivia McAteer (Performing Arts), Matthew Lewis (Geography, Moving Image Arts and Science Double Award) and Rebecca McNeill (Art & Design and Journalism). 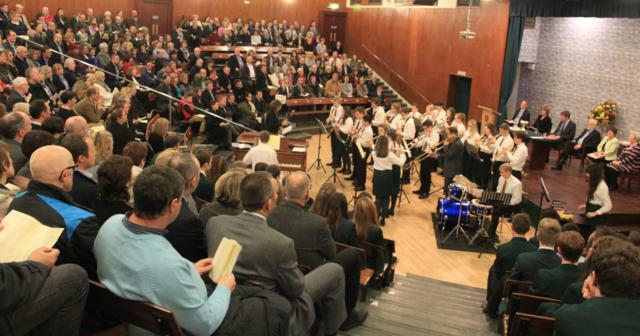 Friends’ School Jazz Band entertain the audience at the GCSE Reception. 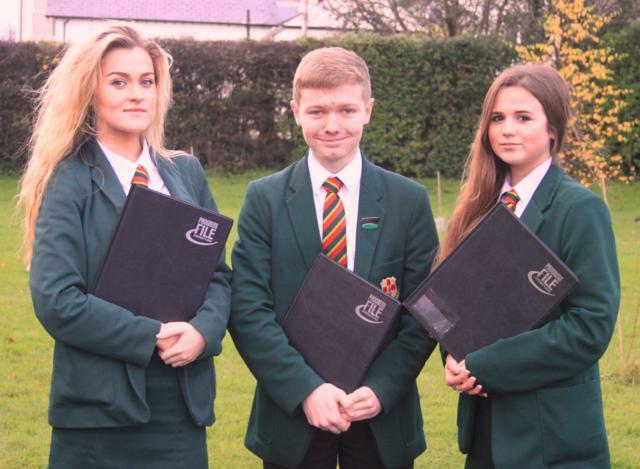 Friends’ pupil Rebecca McNeill was placed 3rd in Journalism within Northern Ireland. 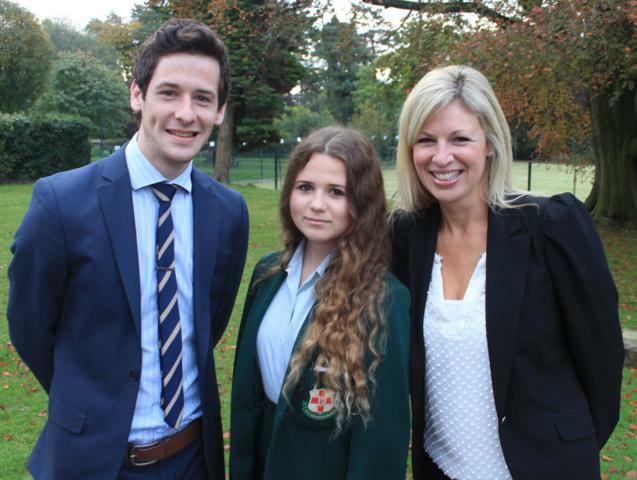 Rebecca is pictured with her teachers Andrew Forest and Ciara Lowe. 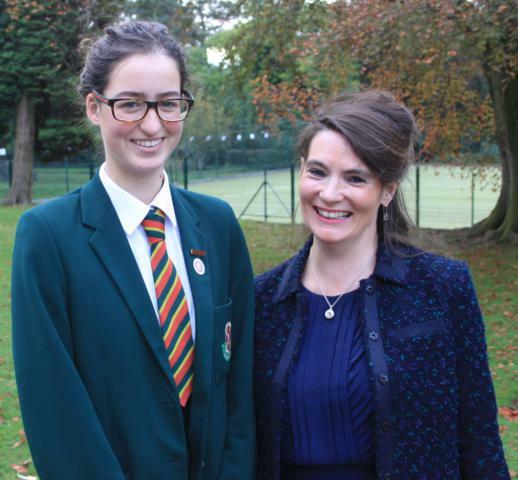 Friends’ pupil Olivia Novaes was placed 1st in English Literature within Northern Ireland. Olivia is pictured with her English teacher Sandra Bernard. 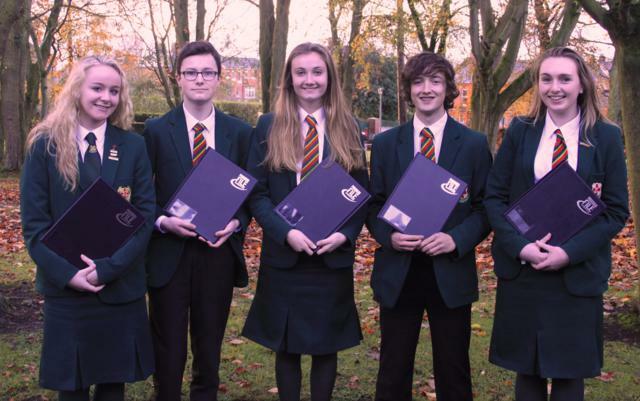 Friends’ pupil Matthew Lewis was placed 1st in Moving Image Arts within Northern Ireland. 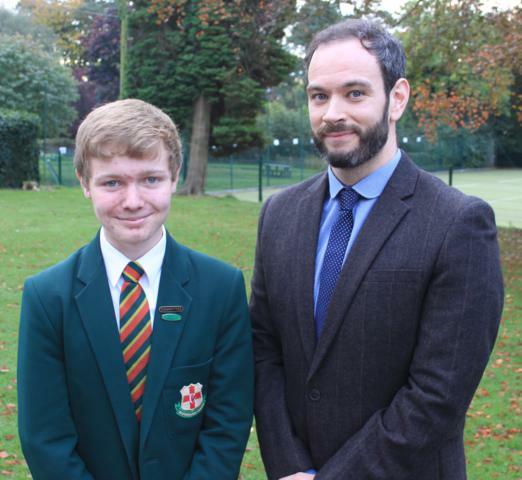 Matthew is pictured with his teacher Robert Murray. 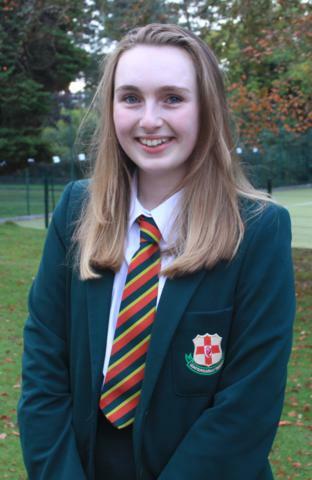 Friends’ pupil Aisling Broder-Rodgers was placed 3rd in Engineering within Northern Ireland. A subject delivered in collaboration with the South Eastern Regional College. 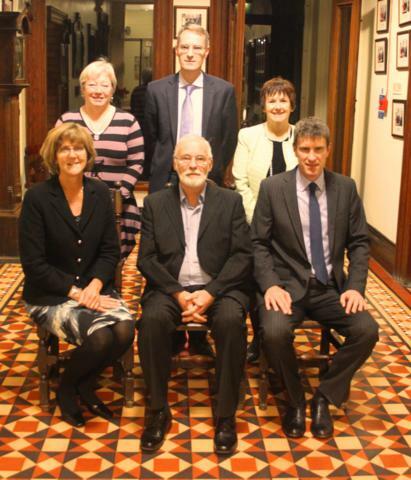 The Platform Party at the GCSE Reception: Front row, from left, Margrit Grey (Chairman of the Board of Governors), Guest of Honour, Ian McElhinney and Stephen Moore (Principal). Back row, from left, Linda Heggarty (Vice-Principal), Phillip Elliot (Vice-Principal) and Aidin Collins (Vice-Principal).